Tulln an der Donau (Tulln on the Danube) is a historic town in the Austrian state of Lower Austria, the administrative seat of Tulln District. Because of its abundance of parks and gardens, Tulln is often referred to as Blumenstadt ("City of Flowers"). 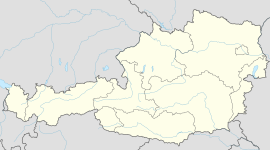 The town is situated in the centre of the Tulln Basin stretching to the Vienna Woods in the south, about 40 kilometres (25 mi) northwest of the Austrian capital Vienna. The main part of its built-up area is located on the southern bank of the Danube river. The municipal area comprises the cadastral communities of Frauenhofen, Langenlebarn-Oberaigen, Langenlebarn-Unteraigen, Mollersdorf, Neuaigen, Nitzing, Staasdorf, Trübensee, and Tulln proper. Tulln is one of the oldest towns in Austria. Although it was settled in pre-Roman times (the name Tulln is presumably of Celtic origin), it gained importance as the Roman fort of Comagena (Comagenis). In the final years of Roman rule, Saint Severinus of Noricum is said to have visited the city, saving it from the barbarians. The town was first mentioned as Tullina in an 859 deed, when the area was part of the Bavarian marcha orientalis. It gained importance as a residence of the noble House of Babenberg, ruling as Austrian margraves from 976 onwards. Tulln lost its significance after the Babenbergs relocated their residence to Vienna. On September 6, 1683, the Polish cavalry of King John III Sobieski united here with Imperial (Austrian) forces, as well as troops from Saxony, Bavaria and Baden for the Battle of Vienna against the invading army of the Ottoman Empire. The 20th century was another period of growth, and in 1986, Tulln applied to become capital of Lower Austria, although Sankt Pölten eventually won. An important sugar producing plant, Agrana Austria, is located in Tulln. Several important trade fairs, including camping equipment and boat shows, also take place in the town. Various state institutions of Lower Austria, such as the fire brigade or the disaster relief service, have their seat in Tulln. The Federal School of Aviation is also located in Tulln. The 37-seat town council is dominated by the Austrian People's Party, which currently holds 19 mandates. The town administration has lately carried out extensive urban traffic reform, extensively changing traffic lights with roundabouts, of which Tulln now has 22. Two bridges span the Danube in Tulln. The Franz Josef Railway crosses the Danube in Tulln, continuing via Krems an der Donau to Gmünd. Der Standard, a Viennese daily newspaper, is produced in Tulln. According to the Nibelungenlied, it was in Tulln that Attila the Hun saw Kriemhild (the Nibelungenlied's name for Gudrun) and proposed to her. A fountain, the Nibelungen-Brunnen ("the Nibelungen Fountain") was dedicated to this event in 2005. The ship Regentag by Friedensreich Hundertwasser is riding at anchor by the Danube as a part of a modern art museum here since 2004. It was first heard of in the short documentary Hundertwasser's Rainy Day (1972). In 2008 a shopping mall, called Rosenarcade was built. Aubad is a well known lake in Tulln with many visitors and tourists during spring and summer time. The famous Austrian painter Egon Schiele (1890–1918) was born in Tulln, and a museum (Egon-Schiele-Museum) is dedicated to him. Siegfried Seidl (1911–1947), convicted and hanged World War II criminal, Nazi commandant of the Theresienstadt concentration camp. Wikimedia Commons has media related to Tulln. Wikivoyage has a travel guide for Tulln. "Municipal data for Tulln an der Donau". Statistik Austria. This page was last edited on 5 April 2019, at 21:45 (UTC).